At Google, we've spent $30 billion improving our infrastructure over three years, and we’re not done yet. 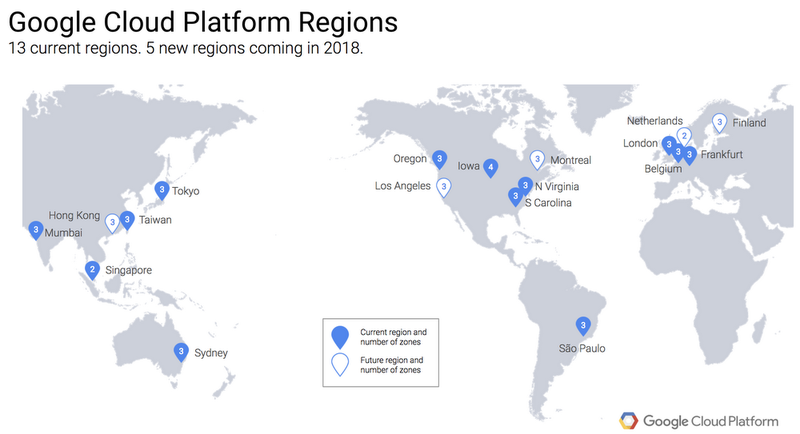 From data centers to subsea cables, Google is committed to connecting the world and serving our Cloud customers, and today we’re excited to announce that we’re adding three new submarine cables, and five new regions. We’ll open our Netherlands and Montreal regions in the first quarter of 2018, followed by Los Angeles, Finland, and Hong Kong—with more to come. Then, in 2019 we’ll commission three subsea cables: Curie, a private cable connecting Chile to Los Angeles; Havfrue, a consortium cable connecting the U.S. to Denmark and Ireland; and the Hong Kong-Guam Cable system (HK-G), a consortium cable interconnecting major subsea communication hubs in Asia. Together, these investments further improve our network—the world’s largest—which by some accounts delivers 25 percent of worldwide internet traffic. Companies like PayPal leverage our network and infrastructure to run their businesses effectively. Our investment in the Curie cable (named after renowned scientist Marie Curie) is part of our ongoing commitment to improve global infrastructure. In 2008, we were the first tech company to invest in a subsea cable as a part of a consortium. With Curie, we become the first major non-telecom company to build a private intercontinental cable. By deploying our own private subsea cable, we help improve global connectivity while providing value to our customers. Owning the cable ourselves has some distinct benefits. Since we control the design and construction process, we can fully define the cable’s technical specifications, streamline deployment and deliver service to users and customers faster. Also, once the cable is deployed, we can make routing decisions that optimize for latency and availability. Curie will be the first subsea cable to land in Chile in almost 20 years. Once deployed, Curie will be Chile’s largest single data pipe. 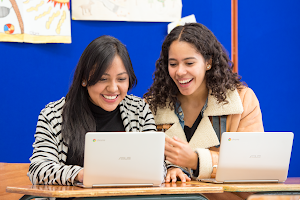 It will serve Google users and customers across Latin America. To increase capacity and resiliency in our North Atlantic systems, we’re working with Facebook, Aqua Comms and Bulk Infrastructure to build a direct submarine cable system connecting the U.S. to Denmark and Ireland. This cable, called Havfrue (Danish for “mermaid”), will be built by TE SubCom and is expected to come online by the end of 2019. The marine route survey, during which the supplier determines the specific route the cable will take, is already underway. In the Pacific, we’re working with RTI-C and NEC on the Hong Kong-Guam cable system. Together with Indigo and other existing subsea systems, this cable creates multiple scalable, diverse paths to Australia, increasing our resilience in the Pacific. As a result, customers will experience improved capacity and latency from Australia to major hubs in Asia. It will also increase our network capacity at our new Hong Kong region. Figure 3. 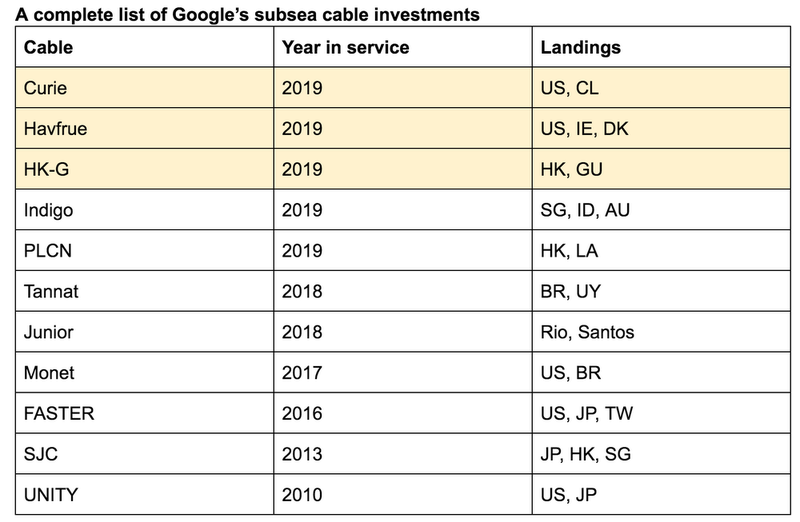 A complete list of Google’s subsea cable investments. New cables in this announcement are highlighted yellow. Google subsea cables provide reliability, speed and security not available from any other cloud. These new investments expand our existing cloud network. The Google network has over 100 points of presence (map) and over 7,500 edge caching nodes (map). This investment means faster and more reliable connectivity for all our users. Simply put, it wouldn’t be possible to deliver products like Machine Learning Engine, Spanner, BigQuery and other Google Cloud Platform and G Suite services at the quality of service users expect without the Google network. Our cable systems provide the speed, capacity and reliability Google is known for worldwide, and at Google Cloud, our customers are able to make use of the same network infrastructure that powers Google’s own services. While we haven’t hastened the speed of light, we have built a superior cloud network as a result of the well-provisioned direct paths between our cloud and end-users, as shown in the figure below. Figure 4. 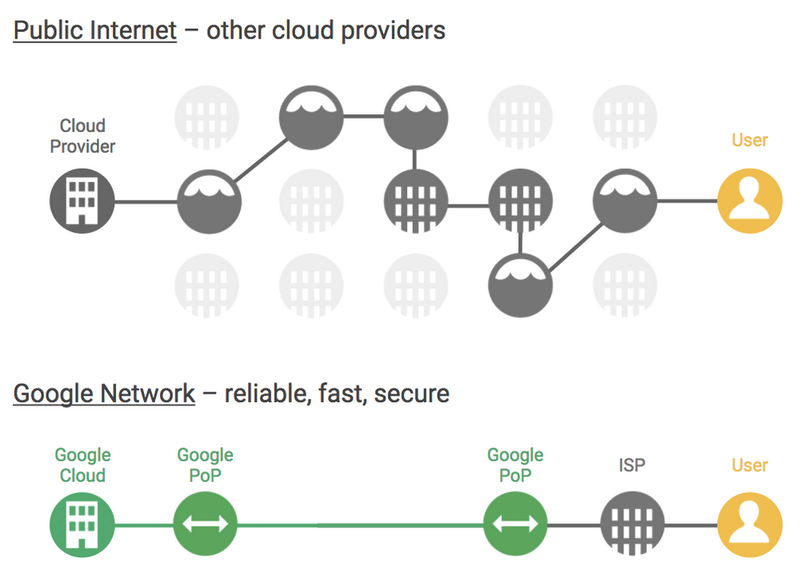 The Google network offers better reliability, speed and security performance as compared with the nondeterministic performance of the public internet, or other cloud networks. 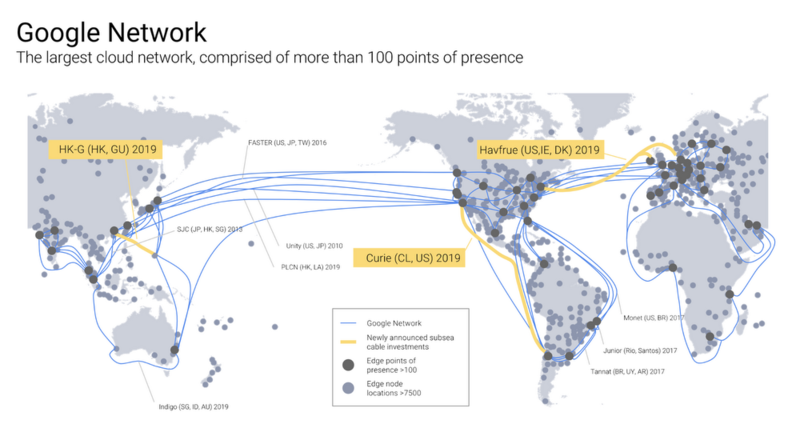 The Google network consists of fiber optic links and subsea cables between 100+ points of presence, 7500+ edge node locations, 90+ Cloud CDN locations, 47 dedicated interconnect locations and 15 GCP regions. We’re excited about these improvements. 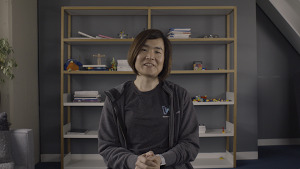 We're increasing our commitment to ensure users have the best connections in this increasingly connected world.